In the unlikely event that you haven't yet heard of The Oh She Glows Cookbook and its author, Angela Liddon, here is a bit of info for you. 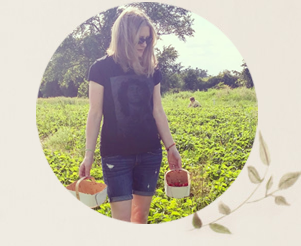 Angela is the creator of the very popular Oh She Glows blog, a recipe blog with an abundance of lovely vegan recipes. Angela switched to a whole foods, vegan diet five years ago and says she has since witnessed a powerful change in herself. "After a decade of struggling with an eating disorder and subsisting on low-calorie, processed, 'diet' foods, I knew I needed to change my life—and my health—for the better," she writes in the introduction to the book. Angela shifted her focus to wholesome foods and was amazed by how much her health and vitality improved. 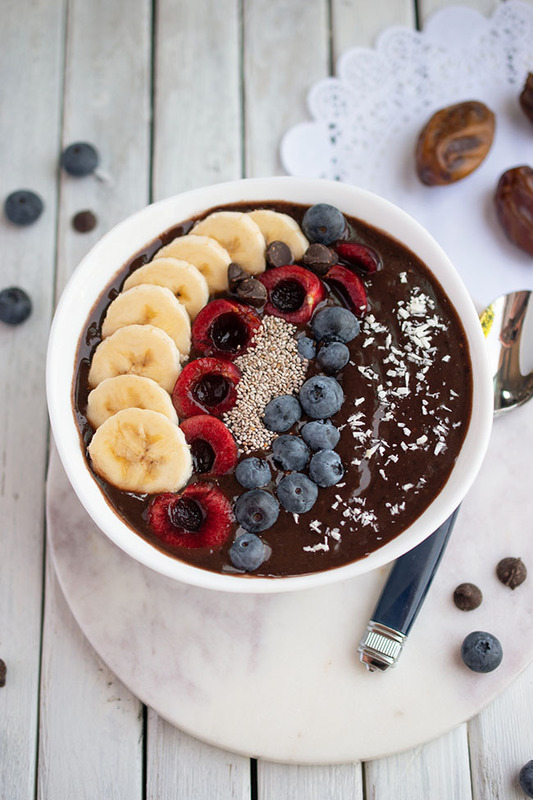 She started the Oh She Glows blog in 2008 and her honest and friendly approach, along with her incredible recipes, have since earned her legions of fans worldwide. Plus, she lives right here in the Greater Toronto Area! This is Angela's first cookbook and, as a certified cookbook addict, I can tell you that it's a great one! I made five of the recipes within the first week of getting the book, so that tells you something. I'm usually much quicker to read cookbooks than I am to actually cook from them. There are gorgeous, full-colour photos for every recipe. The food looks so mouthwatering that I couldn't wait to get started. 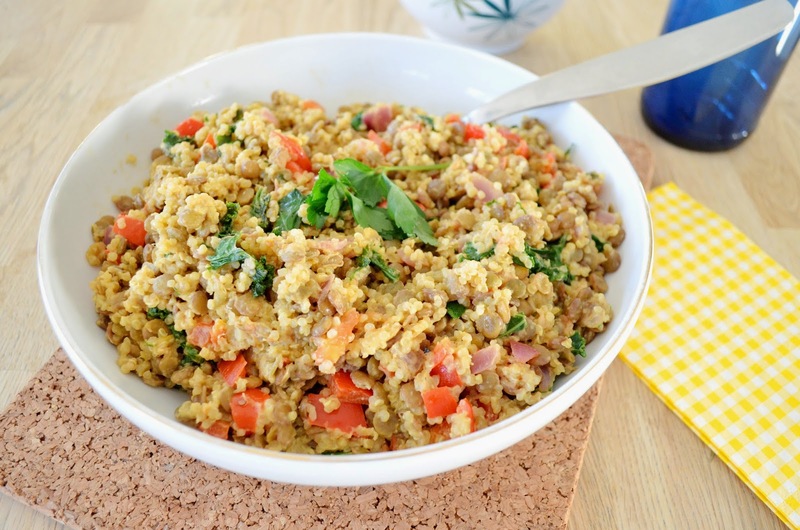 The first recipe I made was the Protein Power Goddess Bowl. It's made with lentils, kale and spelt berries (although I substituted quinoa when hubby couldn't find spelt berries at the grocery store). It has a lovely tahini-based dressing too. 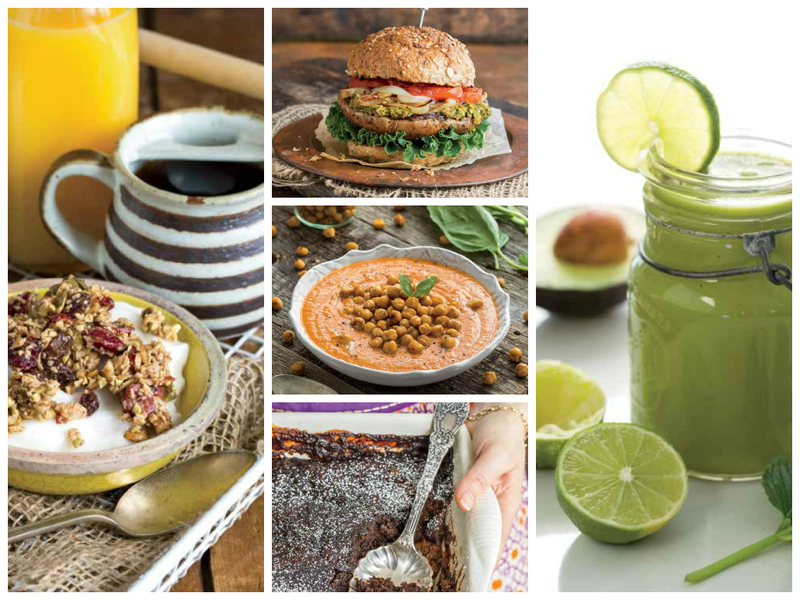 The remarkable thing about the recipes in The Oh She Glows Cookbook is that they are full of healthy, whole foods ingredients and yet they feel amazingly decadent too. Usually I go straight for the desserts, so the next recipe I tried was the Crispy Almond Butter Chocolate Chip Cookies. We didn't have any almond butter, so I used peanut butter. These turned out crispy on the outside and chewy on the inside, as promised in the intro. 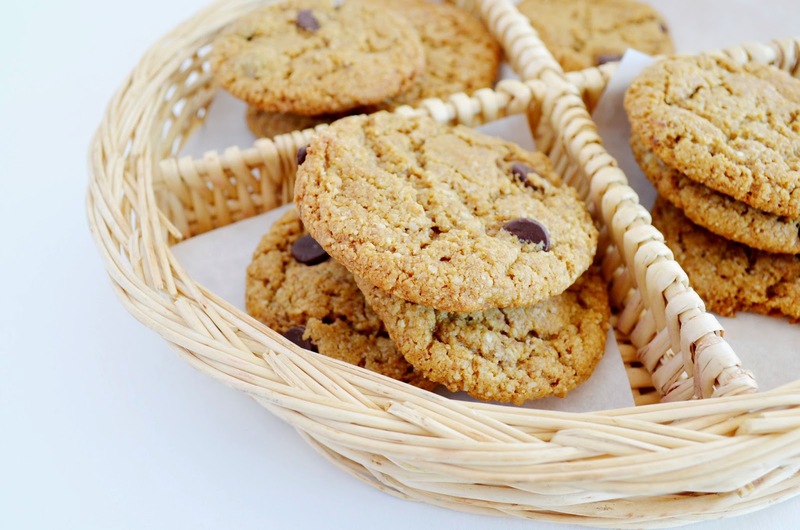 My whole family agreed that these are incredibly delicious cookies - a new favourite! 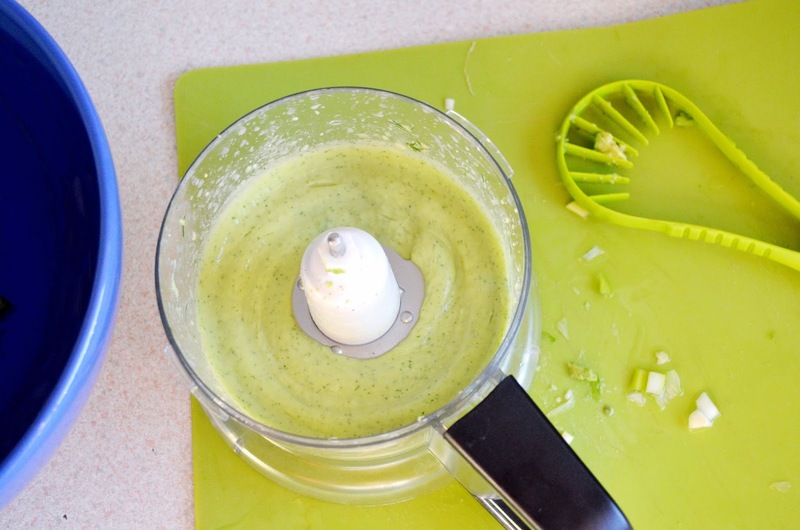 I also made Creamy Avocado-Potato Salad, which calls for a luscious avocado dressing. Filled with asparagus and roasted potatoes, this hearty salad could easily act as a main dish. This was a good night. I made not one, but two Oh She Glows recipes - the Walnut, Avocado & Pear Salad With Marinated Portobello Caps & Red Onion and Cream of Tomato Soup With Roasted Italian Chickpea Croutons. The portobello mushroom slices on the salad were a scrumptious touch and the roasted chickpea croutons were just the thing to make this creamy vegan tomato soup inspiring! Be sure to try making this simple soup yourself. You'll find the recipe below. There are many more recipes I want to try from this cookbook and I feel sure it will become a family favourite. This would also make the perfect starter cookbook for anyone adapting to a vegetarian or vegan diet, or just anyone who wants to improve their eating habits. 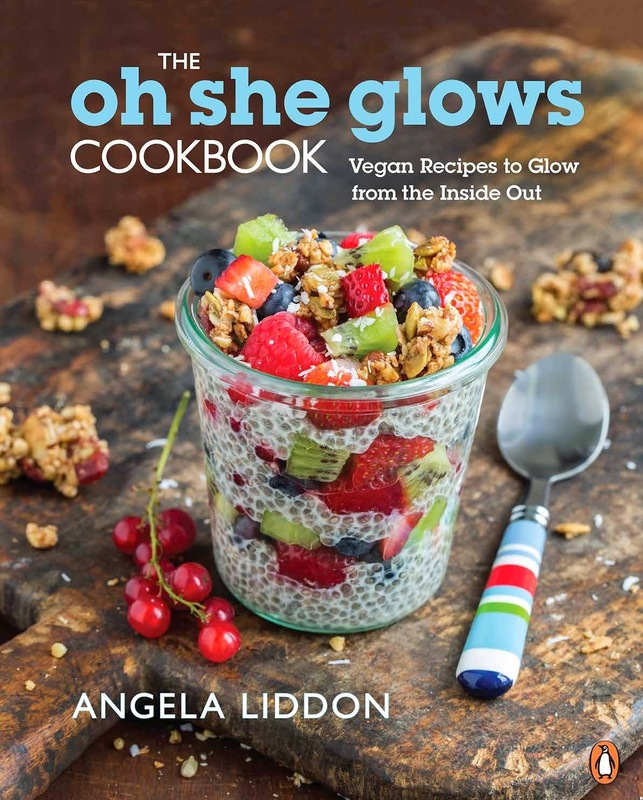 Find The Oh She Glows Cookbook in the U.S. (where it has a different cover) or in Canada. 1. Make the Chickpea Croutons: Preheat the oven to 425°F (220°C). Line a large rimmed baking sheet with paper towels. Place the chickpeas on the paper towels and place a couple paper towels on top. Roll them around until any liquid on them has been absorbed. Discard paper towels. 2. Transfer the chickpeas to a large bowl. Stir in the grapeseed oil, oregano, cayenne, garlic powder, onion powder, and salt. Line the baking sheet with parchment paper and then spread the chickpeas in an even layer on the baking sheet. 4. Let cool on the baking sheet for at least 5 minutes. They will crisp up as they cool. 5. Make the Tomato Soup: In a large saucepan, heat the olive oil over medium heat. Add the onion and garlic and sauté for 5 to 6 minutes, or until the onion is translucent. 6. In a blender, combine the soaked cashews and the broth and blend on high speed until creamy and smooth. Add the garlic-onion mixture, the tomatoes and their juices, sun-dried tomatoes, and tomato paste and blend on high until smooth. 7. Pour the tomato mixture into the saucepan in which you cooked the onions and set the pan over medium-high heat. Bring the mixture to a simmer, then stir in the oregano, salt, pepper to taste, and thyme. 9. 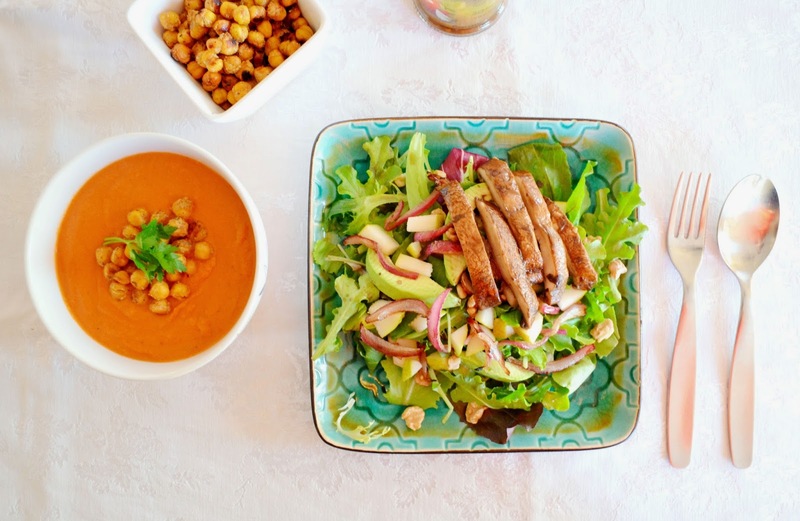 Ladle the soup into bowls and top with 1⁄3 to ½ cup (75 to 125 mL) of the Chickpea Croutons. Garnish with minced fresh basil leaves, a drizzle of olive oil, and freshly ground black pepper. Tip: The chickpeas will lose their crispness in the soup, so be sure to add them just before you sit down to eat—or you can even add the chickpeas as you eat the soup. If you have leftover chickpeas, make sure they’re cool, then pop them into a baggie or container and throw them in the freezer. Freezing the chickpeas seems to retain their crispness better than leaving them at room temperature. To reheat, simply pop them into the oven at 425°F (220ºC) for 5 minutes or so, until thawed. Voilà—instant roasted chickpeas! Joann, thank you so much for your kind words about the cookbook! I'm so happy to hear how well all the recipes are going for you! Your photos are so pretty by the way. If it's ok with you I will add your review link to my book page. Thanks again! Hi Jo, just wondering if your going to print the recipe for the creamy avocado potato salad. 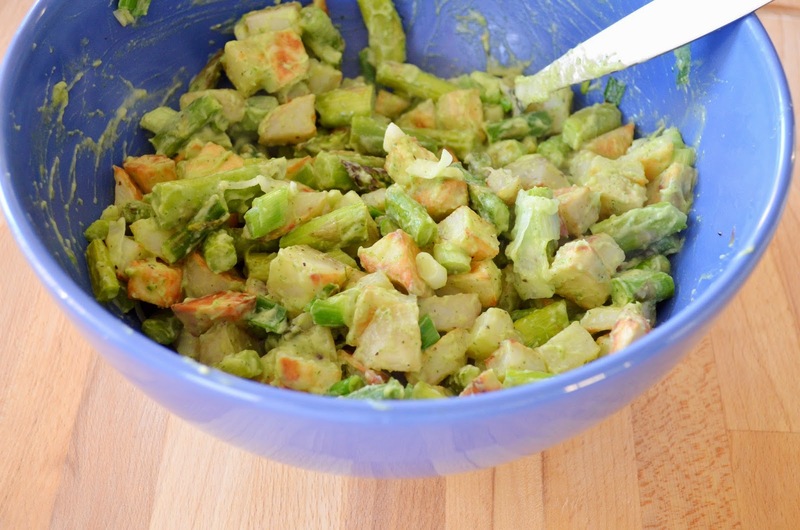 I need that avocado potato salad in my life. That looks beyond delicious! Pinning the soup & shopping for the cookbook post haste! I'd love to hear what your other cookbook obsessions are! I've been following her blog for quite some time so I'm thrilled that she was able to make this book happen. I'll definitely be picking it up.